In afterschool programs that include students with differing abilities, homework support is one of the most important activities. Poor academic outcomes for students with and at risk for low achievement and/or disabilities. Violence and its precursors—behavioral and emotional challenges that increase over time, especially when there has been no intervention. Lack of supervision for latchkey children in the afternoon and early evening hours, which in addition to putting safety at risk, may result in increased risk-taking behaviors, such as substance abuse and delinquency. 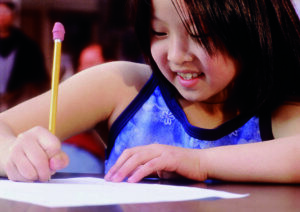 Afterschool programs that provide academic- and therapeutic-oriented learning opportunities can play an important role in addressing these challenges for students, including those with disabilities, children from diverse cultural and ethnic backgrounds, and children who do not speak English as a first language. To ensure success, programs should be designed from the start to be inclusive and program staff members should have knowledge and skills required to implement inclusive practices. Understand how different needs and abilities affect performance. Plan and select activities that accommodate individual differences—right from the start. Use a variety of instructional techniques that accommodate learners’ needs. Keep a repertoire of strategies that can be used to help children who are experiencing difficulties become re-engaged in the activity. 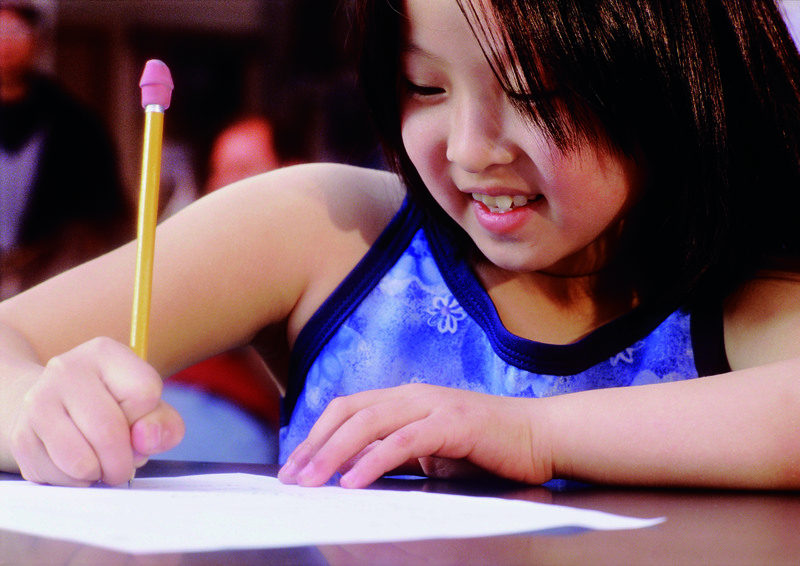 Many afterschool programs set aside time for homework—and for good reason. If students turn in completed and accurate homework, they may learn more and do better in class. If they do better in class and on tests, their grades may improve. Also, their teachers may notice and reward them more for compliance with homework expectations. Spending the time to do it. Organizing when and where to do it. Completing it accurately and neatly. Remembering to turn it in to the teacher. These students also may have problems with attention, memory, hyperactivity, organization, and academics that interfere with completing homework. Provide a quiet area equipped with pencils, paper, good lighting, and space for students to spread out and work. Encourage students with the same assignments to work together in small groups to help each other out and check their own progress. Take note if it seems that some students are having a hard time and mention it to their parents and/or teachers. Reward students for completing a certain percentage of their homework at the afterschool program. Allow them to choose a game to play or what to have for a snack if that’s possible. Have resources (e.g., dictionary, textbook, encyclopedia) on hand when questions arise. Columns for the week and day. Space to write the assignment for each subject. A place to mark when the assignment is due. Space to indicate that the assignment has been completed. Columns for teacher and parent notes. Reinforce students for bringing their homework planners to the afterschool program. Write positive notes to teachers and parents so students can be reinforced in their classroom and at home. Afterschool staff and volunteers often need support to ensure that all students—including those with diverse learning and behavioral abilities—are participating to their full potential in program activities. 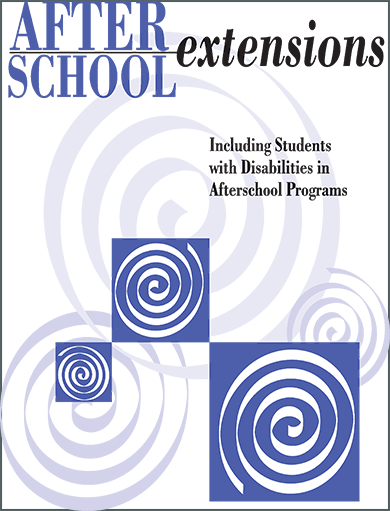 Afterschool Extensions: Including Students with Disabilities in Afterschool Programs is a guide that provides afterschool staff with ideas, strategies, and resources to ensure that all students succeed. 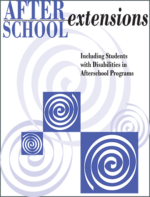 It offers suggestions on how to plan inclusive activities, modify activities, and accommodate students in typical afterschool programs. It also recommends practical tips on how to assist students who are off-task or engaged in inappropriate behaviors. The goal in all cases is to understand the students’ needs, plan for success, and then support their progress. Fostering academic learning. Includes articles related to enhancing academics and helping students with homework. Supporting participation in activities. Provides suggestions for accommodating and modifying activities to ensure participation of students with cognitive, physical, sensory, and behavioral challenges. Promoting positive behavior. Offers techniques for building social skills and responsible behavior throughout the afterschool program. Using assistive technology. Describes various ways afterschool professionals may support children who are using assistive technology. Overseeing the program. Features articles related to administrative issues. Available in eBook and print (while supplies last) formats. Read more at https://www.exinn.net/after-school-extensions/.